Georgia Aquarium is a beautiful sight to see, full of exotic animals, but did you know that you have the ability to walk out with more than just a few FINtastic pictures? With some of the greatest researchers in the world, Georgia Aquarium has crafted exhibits and presentations that are engaging and interactive, with a wealth of knowledge ready to be absorbed! Listed below are four things that you and your family can do at the Aquarium that’ll allow you to leave with a little more knowledge of the ocean, and the animals that live there. Start off your day at Aquanaut Adventure! It is a unique experience that allows parents and children to learn about aquatic life during their expedition through a variety of immersive environments. 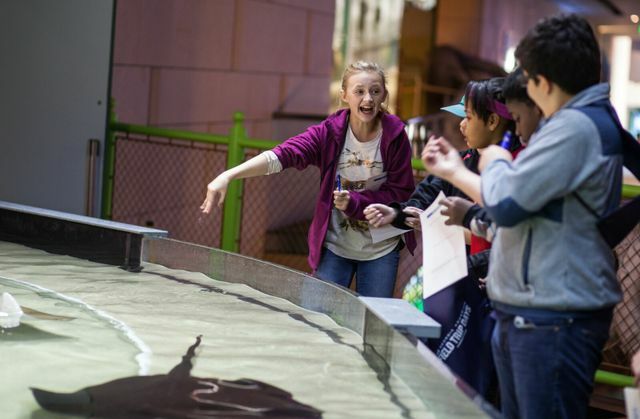 You will explore fresh water and marine habitats, scientific research, how animals thrive in extreme environments, and even catch a glimpse into what it’s like to have a career in aquatic and marine sciences. The gallery instills a sense of appreciation for our oceans, lakes and rivers, and will engage you in Science, Technology, Engineering and Math (STEM) related activities. "The Deep: Mystery of the Ancient Amulet"
Once you’ve experienced the mysteries of the sea over at the 4D Theater, download our mobile app on your phone and get to investigating! Using your phone, you’ll be able to walk around the Aquarium and find hidden, or not so hidden, items while snapping pictures of everything along the way! This journey will allow you to become more familiar with the individual animals in our Aquarium. Stumped on a mission? Ask one of our Volunteers for help and they can give you even more detailed information on the animal you’re currently trying to find! Visit one of our presentations! 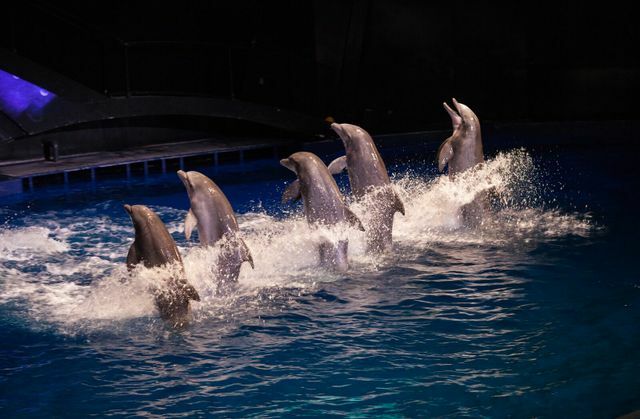 Wrap up the day and enjoy one of our live presentations of our bottlenose dolphins or our California sea lions! Our AT&T Dolphin Celebration presentation is a fun and exciting experience that highlights impressive dolphin behavior and positive relationship with their trainers, all while incorporating important educational messages. Be warned: if you’re in the first 10 rows be ready to get wet! In our California sea lion presentation, Under the Boardwalk, witness our sea lions up close and personal and learn more about these amazing marine mammals and their habitat. 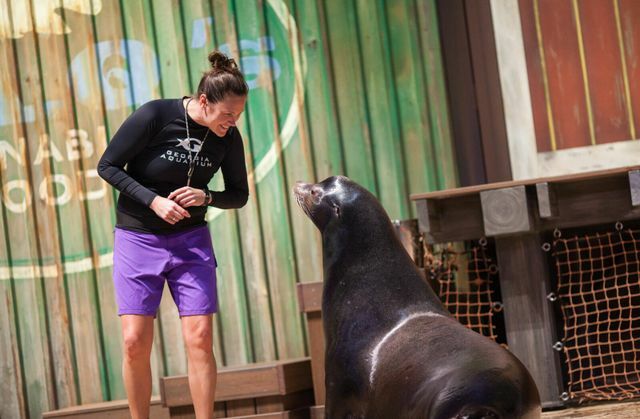 Trainers will interact with this notably charismatic species of pinniped while educating guests on the dangers they face in their natural environment and key environmental factors that impact them. 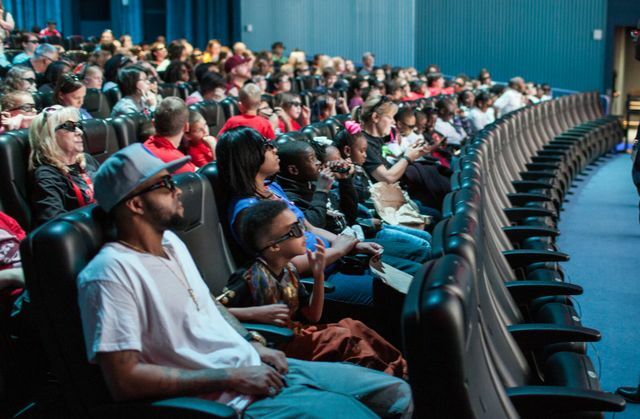 We can’t wait to have you come witness some adorably aquatic animals while learning more about our sea friends and why caring for them is so important at Georgia Aquarium. To receive up-to-date information about the happenings here at the Aquarium, follow along with us online. Don’t forget to share your experiences with us via Facebook, Twitter and Instagram!